Located on the southern coast of New Jersey, the resort town of Wildwood is conveniently close to many cities. An easy drive from places like New York City and Philadelphia, the area has activities for everyone, and an even more enjoyable time can be had for families staying at Wildwood rentals NJ. Create a balance of fun-filled adventures and relaxation, and leisurely plan the day during a restful morning at Wildwood rentals. The activities at Wildwood are plentiful. The children will love the amusement park rides and arcades, as well as the fun of riding the go-karts. Swim in the ocean or head to one of the fun water parks along the boardwalk. Moreys Piers & Beachfront Waterparks allow hours of fun for the family, and you can just keep walking the boardwalk to enjoy the shops, the Adventure Maze, miniature golf, museums, and water sports. 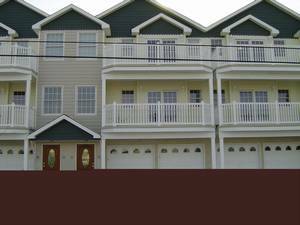 Wildwood condo rentals are close to it all, and include so much more than typical hotel and motel rooms at a rate that won't drain your bank account, so you can enjoy everything Wildwood has to offer with peace of mind. Fun on the water can be heightened by renting a waverunner, or if you want to stay dry, rent a bike for a leisurely ride along the boardwalk or Ocean Avenue. Boat rentals allow the whole family to enjoy some adventure out on the water, with either a slow cruise or fast-paced speed boat tour. Go fishing to try catching dinner, which you can cook in the kitchen at Wildwood summer rentals and have a pleasant family meal indoors. In between the fun and activities, everyone can settle in for some down time whenever they feel like it at Wildwood rentals NJ, making the accommodations an ideal choice for the family. On a sunny day, families with kids can relax on the beach. A rainy summer day can be fun at Wildwood too by enjoying indoor attractions such as the Seaport Aquarium, Olympic Fun Center, or the Wildwood Insectarium. You can even go see a movie or spend time at Wildwood summer rentals where there is plenty of room for the adults and kids to feel right at home. Whether everyone enjoys a quiet meal, plays a board game, or watches TV, the experience of Wildwood rentals is something that makes the family vacation ideal and memorable. A fantastic time can be had by first contacting an owner of Wildwood condo rentals to pick an option that best suits the entire family. With luxurious accommodations and comfortable family dwellings, you can budget accordingly. You can also appreciate a vacation free from the hassles of small hotel or motel rooms and having to eat out for every meal. A more interesting family vacation is in store and one that everyone will remember as the highlight of their summer. Check out nearby Bethany Beach , Brigantine , Cape May , Fenwick Island , North Wildwood , Ocean City , Wildwood Crest .